Compared to many USSMA members I’m a relative “newbie” to RC, having started in 1998. I’ve been excited about scale modeling from the very beginning. I’m one of the many older guys who built non-flying balsa & tissue models as a kid in the late 50’s and also got introduced to flying models with the early control line models. 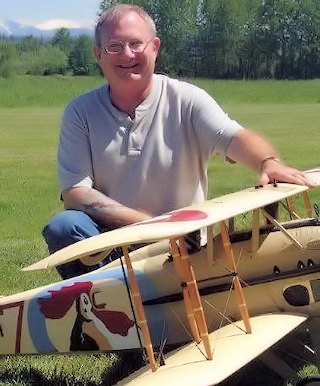 Though I have owned ARF’s and also have one small electric model, my passion is to build and fly larger scale models, typically WWI, with either glo or gas 4-stroke engines for power. So far I have only built from kits, though I often throw out many of the kit parts and replace them with scratch built, and add scratch built details. I started flying in USSMA events in 2004, and competed in my first USSMA Championships in 2006 in Muncie. I’m currently building a 1/4 scale WWI Albatross. When that’s done I have many other kits waiting, but will probably be building a 1/3 scale Fly-Baby, a 1960’s experimental home-build plane. I have been gathering documentation for my major goal to scratch build a 1/3 scale WWI SPAD VII that will be a replica of a plane flown by an American volunteer in the French Lafayette Escadrille before the US entered WWI. I get a big kick out of researching the history of the scale aircraft I build and the pilots who flew them. I’m very active in my local club and have been the Fly-A-Ways’ Club President since 2007. Mike has been building and flying r/c airplanes since 1965, starting with a Goldberg Falcon 56 and a Citizenship escapement actuated single channel radio. 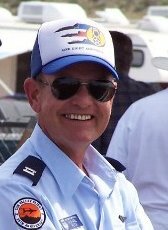 He has served as president, vice-president, secretary, and newsletter editor for his local r/c club, commander and vice-commander of the One Eighth Air Force, west coast vice-chairman of the US ScaleMasters Assn, contest director of two USSMA Championship events and several USSMA qualifiers. He is a certified USSMA judge, an AMA leader member, and was a manager for the Department of Veterans Affairs, now retired. 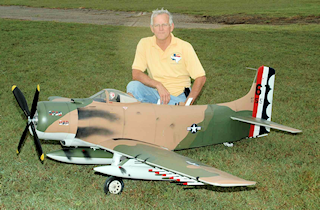 I have been building and flying R/C model airplanes since 1970. 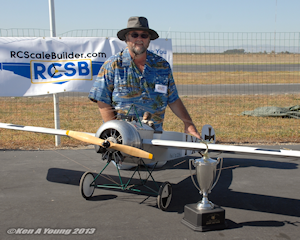 My first R/C scale competition was in 1974 flying a Royal Bleriot. I started competing in US Scale Masters events in the early years of the Scale Masters, at Miles Square Park in Southern California. Since that time I have remained involved in Scale Masters competition and I have also been involved with and have been CD for many Scale events and Scale Masters qualifiers. My name is Tom Mulder from San Diego CA and I belong to the Miramar RC Flyers, 1/8 Air Force, and California Scale Modelers Association. 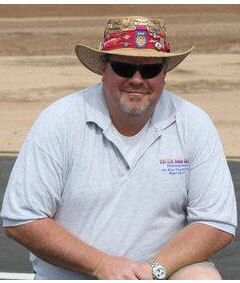 I held tghe position of Membership Chairman in both Miramar RC Flyers and the California Scale Modelers Association. For the last 3 years I have been involved with Scale Masters serving as Qualifier Air Boss, Working at the AMA Expo, and a USSMA competitor. I started enjoying the hobby in the early 70’s beginning with C/L and the venerable Cox PT-19. Made the move to R/C planes building the Dynaflite Wanderer as my first model. Every year I attend 15 -20 events in California, Arizona, and Nevada with my wife Kathy and our 2 Labradors Odin and Loki along with my good friend Curtis Kitteringham. I look forward to participating and promoting the hobby and its associations in the upcoming year!